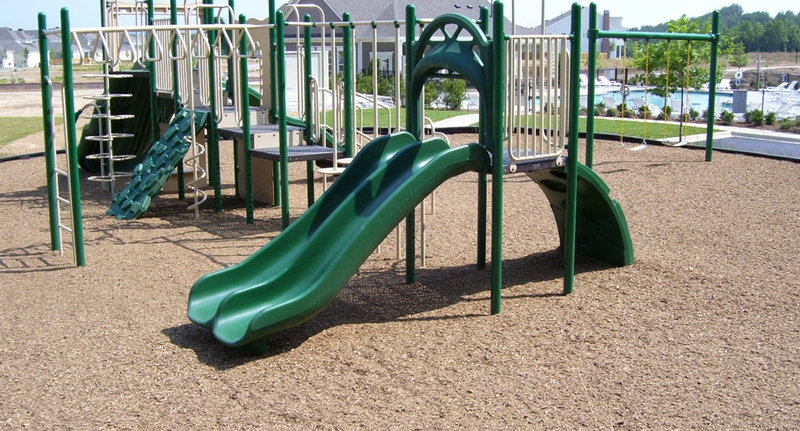 Recreational Group designs, manufactures and installs a variety of safe, dependable, and low-maintenance playground surfacing solutions throughout the country. 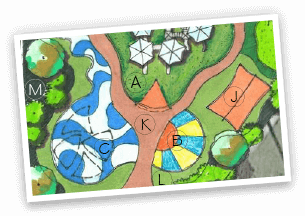 With a wide selection of customized options, colors and designs, we’ll help you design the playground surface of your dreams. 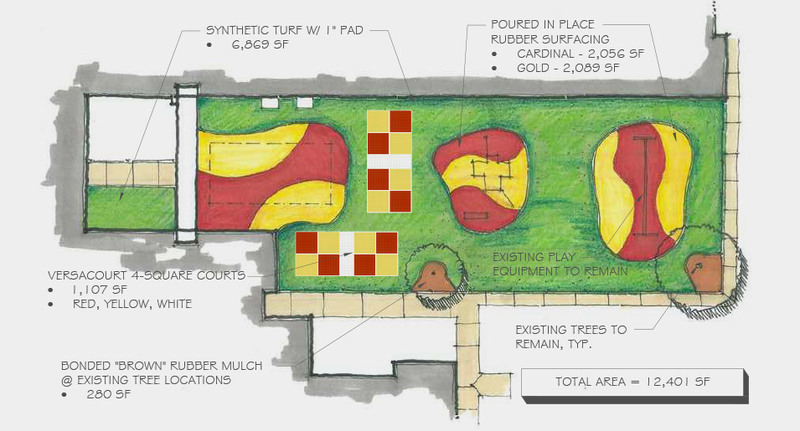 Using colored turf and rubber surfacing from XGrass and Play It Surfacing, we can transform open spaces into engaging play areas like kick ball and Wiffle ball fields. 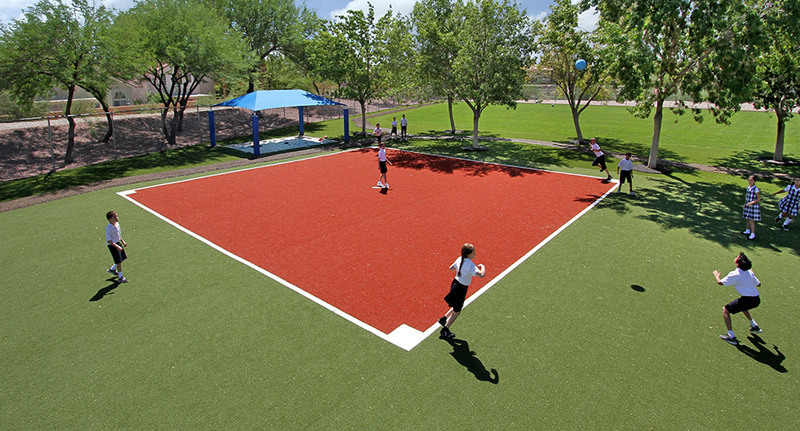 This kickball field features a "dirt infield" made from reddish-brown turf that is virtually maintenance-free. 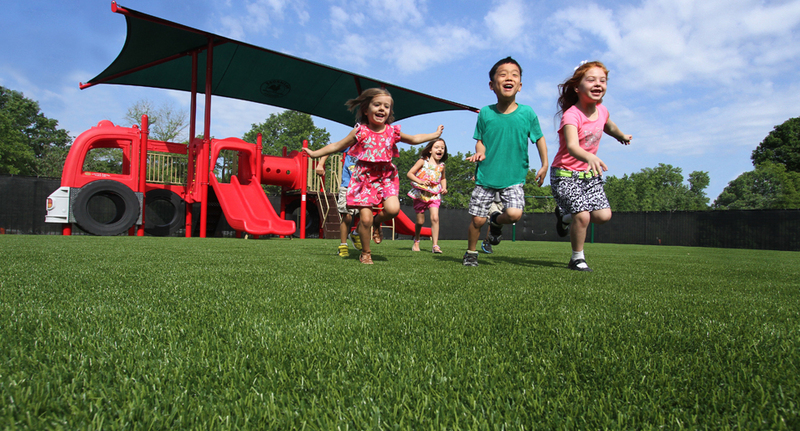 XGrass playground turf provides a clean, safe playing surface for children of all ages. 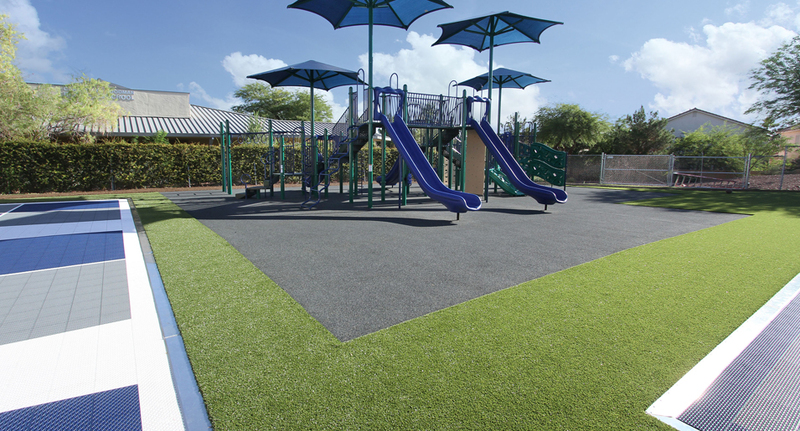 XGrass playground turf systems are IPEMA certified, ADA compliant and environmentally friendly. Play It Surfacing's poured-in-place rubber playground surfacing can be designed and installed to include vibrant colors and custom designs to convert your playground into an interactive canvas. Poured-in-place surfaces are durable, low-maintenance and safe - our surfaces are both IPEMA certified and ADA compliant. Mulch Outfitters supplies and installs premium Engineered Wood Fiber (EWF) playground mulch surfacing manufactured completely from reclaimed wood. Engineered to meet or exceed the strict safety requirements set by the CPSC, ASTM and IPEMA. 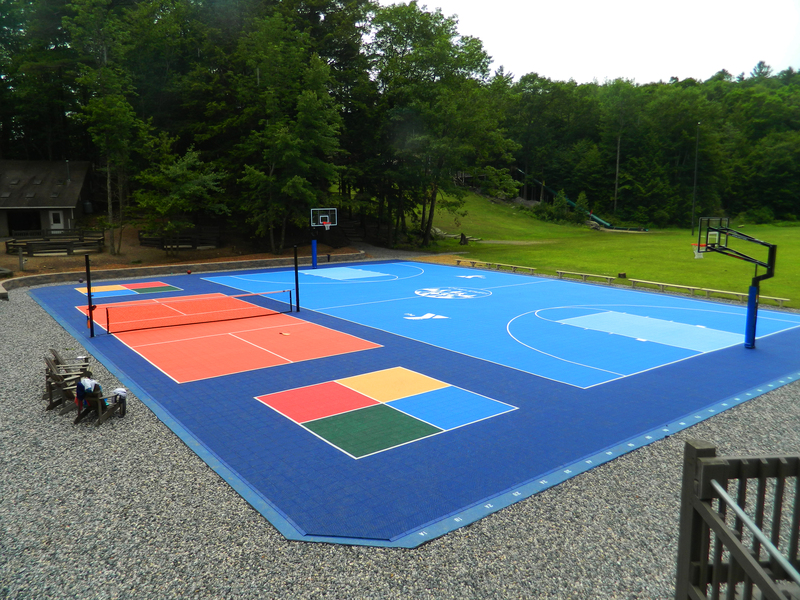 VersaCourt brings playgrounds to life lie with its innovative, multi-sport game courts. The fast-draining, open-grid design provides a low-maintenance surfacing that is both a comfortable and safe alternative to concrete and asphalt. The colorful tile systems can be outfitted with accessories and lines for a number of sports and games. 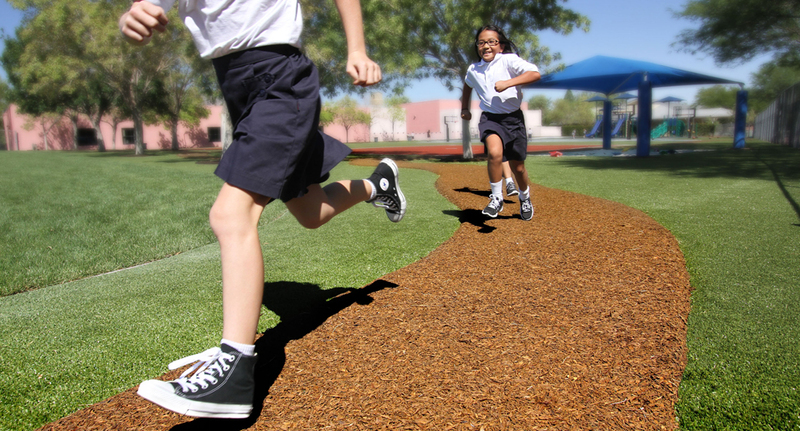 Play It Surfacing bonded rubber mulch surfaces can be utilized in a wide variety of playground applications. 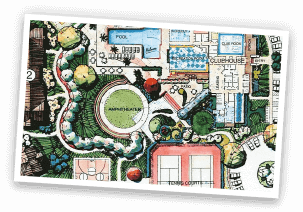 Their design and installation staff has created unique running trails, surfacing accents or create an entire playing surface with bonded rubber mulch - the design options are endless.